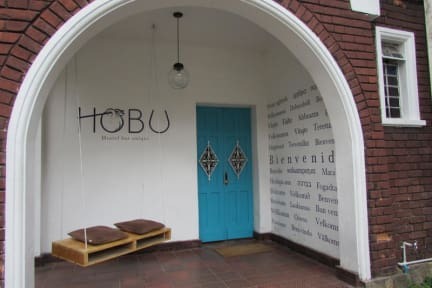 Hobu is located at the most unique and central point of Bogota for you to relax, meet people, try local varied and mix food. As well is pretty easy to move around, close to the historical center and to enjoy the entertainment, shopping, restaurants, alternative bars and cafes in the north of the city. High safety, cool environment, relax,trendy and urban vibes are next to us and you! A key point for you to enjoy and know the cultural, historical and gastronomical variety of our unique and charming city. The house represent a traditional british architecture, emblematic of the old Chapinero neighborhood of mid 20th century. At 5 minutes you´ll be at `Zona G´and at 10 minutes you´ll be in the `Zona Rosa´of the city. At the same time, at 10 to 15 minutes to the other side you´ll be at the historical center of Bogota. You cannot be better located! Our staff is always available to advice, search and help you with basically any requestment or question you have about the city, activities, plans, hidden gems for you to have the best experience and time in the city. Payment is required at Check-in, we accept cash, credit and debit cards. If you decide to pay with card, is an extra 8% fee commission over the total payment. This property may pre-authorize your card before your arrival. Fui muito bem atendido. 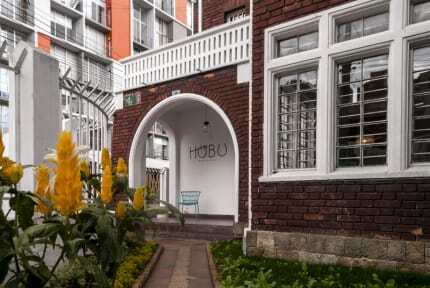 O hostel fica em um local que tem muito comércio, lugares para comer, bares e não tive dificuldade para sair e também visitar pontos turísticos. Tive uma estadia agradável. It's a hostel with a hotel atmosphere, and I was treated like I matter by each and every staff member. The breakfast was also surprising, good options, great service, actually the best hostel's breakfast I've ever had. The hostel bar offers a nice beer selection for a reasonable price, and the common areas are just perfect to chill and have fun. The only problem were the girls counscience about keeping the female bathroom clean. Despite it was cleaned 2x a day It was always a disaster. Don't. De longe um dos melhores Hostels que eu já fiquei. O café da manhã era bem completo! O tratamento é quase de um hotel. Ambiente agradável, camas muito confortáveis e um bom café da manhã. The place is amazing and the crew is mannerly and qualified! Totally recommended!